Joe Thornton – Jumbo Joe has no equal. He started around “Movember” and his is awesome. 2. Brett Burns – Burns wins the overall because he’s included the man bun in his new look. Joe can’t pull off that look but this is a beard ranking so Burns came in a close second. 3. Justin Schultz – Schultz has his entire neck line covered. He gets points for the fullness of his beard. 4. Bryan Rust – He has a good looking rug on his face. It’s full and luxuorious. 5. Chris Tierney – Tierney is proud of his beard. He really lobbied for this even though he couldn’t have known about the ranking. Logan Couture – He knows it’s bad and wishes it was better. He’s gotten heckled about it. 2. Marc-Andre Fleury – It looks like a “Van Dyke” that took a wrong turn. 3. Patrick Marleau – He has too many thin areas. He never took care of it he figured it would do it all by itself. Joe Pavelski just missed the good list. His is a bit light so it doesn’t photograph well. 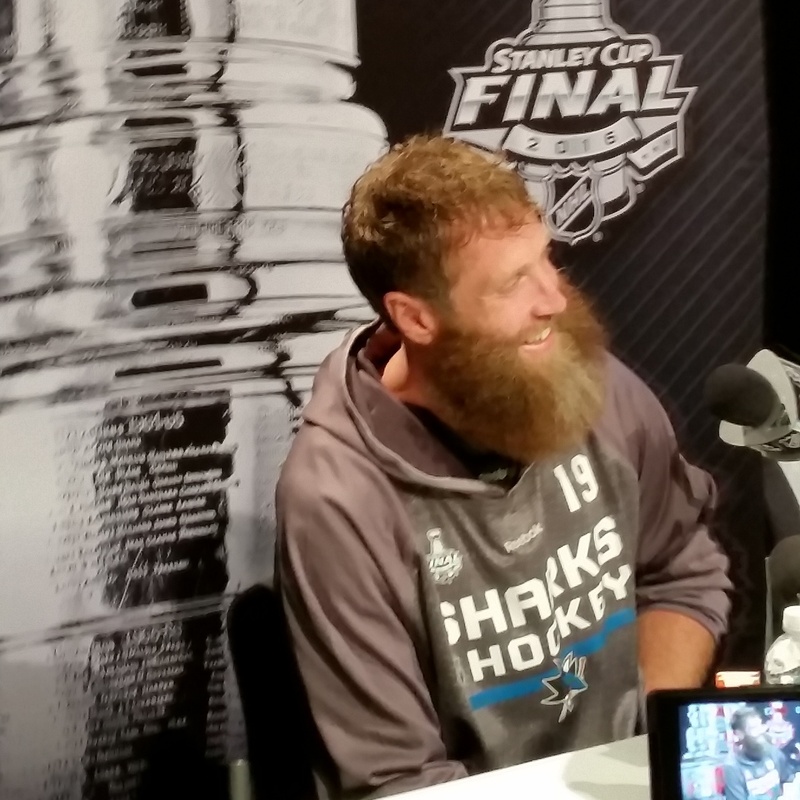 Martin Jones has some promise but he’s spending way too much time on goaltending and not enough on his beard. Check out our gallery on Instagram @Sportsology and give us a like.